A Yale-led project examining the link between explosive volcanic eruptions and the annual Nile river summer flooding in antiquity has received an award from the National Science Foundation (NSF). The project, titled “Volcanism, Hydrology and Social Conflict: Lessons from Hellenistic and Roman-Era Egypt and Mesopotamia,” has received $1.3 million from the NSF. It is funded through the Dynamics of Coupled Natural and Human Systems Program, which supports interdisciplinary research that examines human and natural system processes and the complex interactions between the two systems at diverse scales. 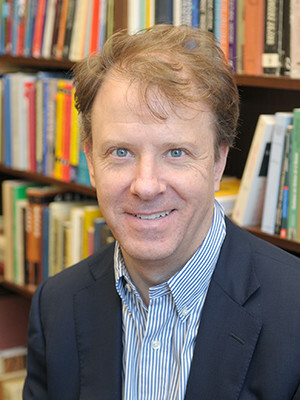 Joseph Manning, the William K. & Marilyn Milton Simpson Professor of History and Classics at Yale, is the principal investigator on the project. The co-principal investigators on the grant are Francis Ludlow, Trinity College Dublin; Alexander Stine, San Francisco State University; Jennifer Marlon, Yale University; and Konstantinos Tsigaridis, Columbia University. Article by Bess Connolly Martell continued on YaleNews website.